Rahul grew up in Kolkata, surrounded by his family, and moved to the UK on a university scholarship when he was 23. Once here, he discovered an abundance of new flavours and cuisines that have inspired his ‘East-meets-West’-style of baking. 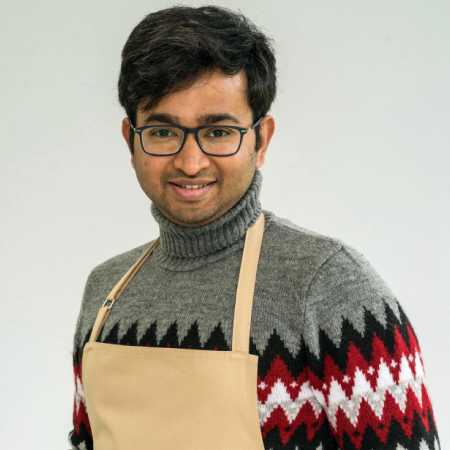 As a research scientist, Rahul’s instinct is to undertake every bake with a forensic attitude to research and an uncompromising attention to detail. He is fascinated by the science of baking, but also loves to ensure (or at least try) that his creations are beautiful, full of flavour and structurally elegant, too.